Circus Tent - הירשל ציג'ס בלאג: Did Reb Moshe Shapiro ever sit down with רבי יואל כהן or any other ליובאוויטשער חסיד? Did Reb Moshe Shapiro ever sit down with רבי יואל כהן or any other ליובאוויטשער חסיד? So we discussed RMS yesterday, backdating the post to soon after his passing. I got all kinds of messages, both here and in private, how I was asking a silly question re: why did he never mention Chabad. He learned and loved sifrei Chabad but never would he mention them by name in public. The more respectful ones will tell me that it wasn't what he was preaching, so if he did mention Chabad he would use pareve terms like צדיקי אמת or מקובלים. He was a Litvisher, so why mention Chabad. OK. Whatever. Others, those who have big mouths, speak how "today's Chabad" was a "perversion" of the REAL Chabad. As if. As if he knew. As if he ever bothered to speak to anybody in Chabad. I mean it's nice that he discovered a whole new world in Tanya and Likkutei Torah, but just like every other limmud you need to have a Rebbi. Don't think you know just because you have a good head, and then go and dismiss thousands of others who follow a mesorah for 200+ years. Did you ever make an appointment with an "expert" in Sifrei Chabad who has a mesorah and discuss with him, try to learn from/with him? And if you think you can do it on your won what does that say about you? Then I wanna know why someone like our friend "Litvak from Budapest" (what's that?) who says that the Leshem held that Chabad was megashem lofty concepts and that's why he didn't mention Chabad, so why learn those seforim at all? The Leshem was totally opposed to Toras HaChassidus from the BeSHT on, שרק those that claim to follow his teachings are allowed to learn Sifrei Chabad? שפת אמת? ר' צדוק? שם משמואל? And in Chabad גופא - it's only the later doros that were meGashem? So תניא-ליקוטי תורה is still allowed? like where did it start? the Tzemach Tzedek perhaps? Was he meGashem? Litvak, you consider your self a rational person, is that what you believe? And what does to be MeGashem mean anyway? Where do these people get these ideas, and why do sane, rational people follow them?! Just because he's a little out of the box and speaks of new concepts? II guess so. It seems to me that they've remained very much within the box of anti-Chassidus, despite all the learning. The answer is very poshut. At least for me. [I was thinking of bringing R' Eli Weintraub into this discussion, because he was a similar person. He learned Chabad and would even mention the source, but he too somehow "understood better."] To learn Chassidus and be a gantze mentsh far zich just doesn't exist. Chassidus is bittul. If you learn and internalize you become bottul. You can teach but it's not about you. The examples are numerous. Too numerous to mention. The examples even go as far as people who do make it about them have a very hard time teaching Chassidus, because it just won't "allow it." So people who become "Gedolim" based on teaching מחשבה and becoming ענקי המחשבה - that doesn't jive with Chassidus Chabad. So much so that they can't even mention sifrei Chabad - almost as if the seforim itself won't ALLOW themselves to be mentioned... Then there's a side issue I have with many of these same personalities, how they all somehow manage to hook up with the adversaries of Chabad Shluchim and become those who put them on the map. Especially in places like the Former Soviet Union, וד"ל. But that's for another time. יש עוד הרבה מה להגיד. Just curious did you have a blik in one of his seforim before you wrote this post ? or listen to his many shiurim, readily available on Kol Haloshon ? my hunch is you didn"t.
I am honored to be a subject of your post. However your English skills are of Spinka standards and I haven't the foggiest clue what you are talking about. Please correct your English or translate to Yiddish. Btw, you seem to have been misunderstanding my point. Some lowlife mechutzaf decided that when a non chassid mentions Torah, he must be reminded that someone or other said that his (and Reb Chaim Volozhiner's) Torah is worthless. The Leshem was an answer to that. The Leshem never discussed Chabad. Your definition of a Chossid is ludicrous. You won't actually print this, but how did Reb Moshe Shapiro make a yesh of himself in kabbala any more than any Lubavitcher Rebbe did? you are completely unhinged. its clear that all that bittul has really done its job on your sechel! How can I backdate this reply? Is this a trick only the circus master can do? So whats the opinion of The Moterssori Nun on all this curriculum teachings argument? "why did he never mention Chabad." What has the mentioning of chabad to do with anything, espcially of the perverted lubavicher version of it? Did Reb Yoel Kahn sit down with Reb Moshe Shapiro or any non Chabad mekubal before deciding that Chabad was the way to go? Did the Lubavitcher Rebbe? Why is a world class talmid chochom subject to harsher criticism than others not on his level in.learning? LP: "You won't actually print this"
Well he actually did, you know why? Because by you equating moshe s. to the LR gives away your persona better than anything he can write himself. גאסט רעדנער - דער מחוצף פון פריערדיגען אשכול האט גערעדט אויף דער לשם, נישט אויף היינטיגע ישיבה'לייט. ער האט געברענגט פון א ספר וואס האט זיך מתחצף געווען אויף הגר"ח מוואלאזין, נישט אויף א היינטיגע ישיבה. I would like to see what Litvak of Pest wrote? עי׳ בלשם שבו ואחלמה שגינה מאד את אלו המגשמים את חכמת האמת אשר ברור שכוונתו על אנשי הכת ההיא, שלקחו מושגים עליונים, וברצותם להביא אותם לכלל העם, גישמו את הדברים עד בלי היכר"
" espcially of the perverted lubavicher version of it?" which part of tanya did reb Yoel Pervert? which part of tanya did reb Yosel Wienberg Pervert? which part of tanya did reb Libel Altien of Chasidus Mevuerers pervert? Both were on the list to get booted by Maran with a Stienzalt/Soloviechig style letter. Both, immediately learned the trick that to quiet down the regime, they would be better off to serve it. So wientraub served it with some chabad hate what Maran loved and shapira did some other great deed for the regime. איך האב עכט נישט פארשטאנען וואס ער וויל. דאס האט נישט מיט אטאקעס. איך וועל שרייבען אביסל לאנג, מסביר צו זיין וואס דא טוט זיך. הלכה און אגדה זענען גאנץ ענליך אין געוויסע אופנים און גאנץ אנדעריש אין געוויסע אופנים. א מחלוקת אין הלכה מאכט דער צווייטע נישט קיין עבריין, על אף אז די פוסקים רעדען צומאל גאנץ שארף בסערת המחלוקת. כ"ה באגדה. נאר וואס? אין אגדה רירט מען אן צומאל עיקרי הדת, און לויט דער רמב"ם קען ארויס קומען א חשש מינות. דעריבער האט דער וועד ארבע ארצות אפגעשטעלט דאס לימוד תורת הסוד פאר די מאסען וכו׳. אבער דער עצם מחלוקת איז נאר צוויי מיינונגען וואס דארפען נישט שטימען, וזה בכה וזה בכה. דאס איז נאר איין נקודה. אבער אן אנדערע חילוק איז אויך פארהאנען. טרוקענע הלכה קען מען לערנען פון סיי ווי. ווען מ׳קומט אן צו די סברות, האט יעדער מענטש זיין פארשטאנד און זיין גאנג, און ס׳איז באלד אוממעגליך פאר א ר׳ ברוך בער איד צו לערנען ר׳ שמעון שקאפ. דאס איז נישט קיין חוצפה, נישט קיין פערזענליכע קאמפף, נאר לבא דאינשי. לגבי הבנת אגדות התורה, מיט תורת המוסר און תורת הסוד, איז עס די זעלבע זאך. די יסודות און פאקטען זענען אומעטום, דער צוגאנג און די הבנה איז אנדעריש אומעטום. דער לשם איז, צווישען מקובלים לבית מדרשו של הגר"א, דער אוטאריטעט אויף עניינים אלו. מ׳לערנט זיין ספרים און מ׳פראבירט אלס צו פארשטייען לויט זיין מהלך. דער וואס גלייכט ענדעריש עפעס אנדעריש, זאל זיין. אבער זיין מענטשען קענען א קוק טוהן אין פיהל ספרים, און אלס פארשטייען לויט זיין מהלך. איך האב געהערט פון זיי אפטייטשען אין בריסקער רב׳ס וכדו׳ ווייל אלס האט מען פארשטאנען פון דער שטאנדפונקט. אזוי זענען מענטשען און ס׳איז אוממעגליך צוצונעמען דער עלעמענטע רעכט פון א מענטש זיך צו האלטען געטריי צו זיך. יעצט, איז עס אזא קשיא אז ער האט נישט געלערנט צו געפרעדיגט חב"ד? ער און זיין מהלך האבען גארנישט דארט צוטוהן. פונקט ווי די ליובאוויטשער רבי׳ס האבען נישט געפראוועט זייער ביטול צום לשם, נישט ווייל זיי זענען זיין בר פלוגתא׳ס, נאר ווייל אזעלכע זאכען זענען נישט געגאנגען צוזאמען. אין כאן מחלוקת, אין כאן שנאה ולא קנאה. איך פארשטיי אז מ׳זאגט דא די טאכטער און מ׳מיינט דער שנור. דער עיקר פראבלעם איז נישט מיט דער ר׳ משה נאר א צווייטע ר׳ משה וואס האט געמאכט א ישיבה אין מאסקאווא אויסצולערנען אידען תורה, וואס פאר עפעס א סבה איז עס א שטער צו באטרעפונגען מיט פוטין מיט נאך אזעלכע וויכטיגער עבודות. איך פארשטיי אבער נישט וואס האט איינס צוטוהן מיט די צווייטע. אפילו אם נאמר אז דאס איז עפעס א טענה, וואס האט עס מיט זיין תורה? So said he who erred with rav kook, he who has marrow to refute the rmc"l and on, he will fall to the dust bin of history, who cares what he says. His gadles besides. I'm out of this juvenile polemics Adios. How come I almost never saw non Chabad seforim like Sefas Emes, Rav Tzadok, the Chofetz Chaim etc.etc. in the Likutey Sichos? Did the Rebbeh not learn or know them? "Who said the Leshem meant Chabad? Actually he meant all chassidim." HT: And what does to be MeGashem mean anyway? What is "Applied" About “Applied” Philosophy? I like that you bring in Reb Elche Weintraub. What RMS and REW have in common is that they both were talmidim muvhakim of Rav Hutner. RYH certainly did "have a Rebbi" in Toras Chabad in both the Rayat"z and Rama"sh, whom he learned with bechavrusa. It is fair to say, that RYH, having been a study partner of the last two Lubavitcher Rebbe's was enough of an authority in Toras Chaba"d to give over to his Talmidim and for them to have a derech in it as well. Instead of asking such childish questions such as "Ma tivo", why dont you just go and listen to any of the many shiurim and shmuessin of RMS and see for yourself. I promise that you will be captivated by this brillance and gadlus. HT: "The answer is very poshut. At least for me. [I was thinking of bringing R' Eli Weintraub into this discussion, because he was a similar person. He learned Chabad and would even mention the source, but he too somehow "understood better."] To learn Chassidus and be a gantze mentsh far zich just doesn't exist. Chassidus is bittul. If you learn and internalize you become bottul. You can teach but it's not about you. The examples are numerous. Too numerous to mention. The examples even go as far as people who do make it about them have a very hard time teaching Chassidus, because it just won't "allow it." So people who become "Gedolim" based on teaching מחשבה and becoming ענקי המחשבה - that doesn't jive with Chassidus Chabad." OR WITH ANY OTHERS! With this statement you have hit the final nail in their head! As humble as Chassidus gets you the more you get it. The opposite is true by them, even when they say nothing, and know nothing their egotistical demeanor says it all. Am I the only one who aees the irony in the argument of "I have more bittul than you"? Muvhakim? Seriously? RMS was not a real talmid of Rav Hutner. Their Torahs aee wildly different, their attitudes and everything about them. RMS did hear something from him, but he was by no stretch a talmid, let alone muvhak. סיפור, ר' אליהו לופיאן נ"י כי גם אדמו"ר רשכבה"ג ר' ישראל סלנטר זי"ע בקרו בשאוויל פעם אחת (בכוונה ידועה ומובנת.. ) והביע תמהונו שאינו עוסק בנסתרות, והגרי"ס ענה כי כבר זקן וגם מי יודע "הספרים הראויים ללמוד מהם" התחלת החכמה.. (הגרי"ס הסתיר תמיד דרכו כידוע). והשיבו על הכל כמסיח לפי תומו אף שהבין מטרת בואו של הגרי"ס זי"ע. לנטותו מדרכו! Yank: "I have more bittul than you"? When you say that "their toras are wildly different", I am not sure if you are referring to RYH and RMS or RMS and REW. But you are correct, all three of them had a wildly different style. Though I'm not certain why that would have any baring on your argument. RYH is well known to have been maamid talmidim of all stripes and colors. He used to say " Mir zenen nish kein Sedoim-bet oifen kup". Both in machshava and in halacha RYH talmidim can be found at opposite ends of the spectrum. And many will say that is precisely his greatness. (See Rav Gifter's hesped on RYH). See last week's Mishpacha Magazine where it mentioned the well known chavrusashaft between RYH and RMS. (I heard yesterday from a reliable source that it was in Kisvei Ari). That said RMS himself considered himself a talmid of RYH and considered RYH his Rebbe in machshava. You can confirm same with some of RYH other talmidim in EY, namely Reb Dovid Cohen of Chevron and Reb Yehoshua Hartman of Har Nof (new Maharal). איך פארשטיי אז מ׳זאגט דא די טאכטער און מ׳מיינט דער שנור. דער עיקר פראבלעם איז נישט מיט דער ר׳ משה נאר א צווייטע ר׳ משה וואס האט געמאכט א ישיבה אין מאסקאווא אויסצולערנען אידען תורה, וואס פאר עפעס א סבה איז עס א שטער צו באטרעפונגען מיט פוטין מיט נאך אזעלכע וויכטיגער עבודות. איך פארשטיי אבער נישט וואס האט איינס צוטוהן מיט די צווייטע. אפילו אם נאמר אז דאס איז עפעס א טענה, וואס האט עס מיט זיין תורה?" דאס איז נאר איין נקודה. אבער אן אנדערע חילוק איז אויך פארהאנען. טרוקענע הלכה קען מען לערנען פון סיי ווי. ווען מ׳קומט אן צו די סברות, האט יעדער מענטש זיין פארשטאנד און זיין גאנג, און ס׳איז באלד אוממעגליך פאר א ר׳ ברוך בער איד צו לערנען ר׳ שמעון שקאפ. דאס איז נישט קיין חוצפה, נישט קיין פערזענליכע קאמפף, נאר לבא דאינשי. לגבי הבנת אגדות התורה, מיט תורת המוסר און "תורת הסוד, איז עס די זעלבע זאך. די יסודות און פאקטען זענען אומעטום, דער צוגאנג און די הבנה איז אנדעריש אומעטום. Did Reb Boruch Ber attack Reb Shimon Shkop? Reb Shaul Duak and 100ths of other wrote many seforim in Kabalah, do chasidim have a issue with them? "האט א געוויסע חוג זיך אויסגערופען אלס די בעלעבתים אויף תורת הנסתר". HT: "The answer is very poshut. At least for me. [I was thinking of bringing R' Eli Weintraub into this discussion, because he was a similar person. He learned Chabad and would even mention the source"
Have you any source to your story on heichal habracha? the greatest Maran of all Marans. Is a Moron. LOB: "in the universe of Kabalah, everyone was sure that they have the authority"
Litvak so is it true that every litvak tear him open he has a tzeilim in is heart, or are you an atheist who belies on himself only? On your own Authority. RMS himself considered himself a talmid. You can verify this by asking other RYH talmidim and close confidants of RMS, Reb Dovid Cohen of Chevron and Reb Yehoshua Hartman of Har Nof (New Maharal), and others. Do you have reason to believe otherwise? Aside for RMS being and employee of RYH in Bais Hatalmud, the two of them had a well known chavrusashaft for a short period of time from chatzos until vasikin. (I was told by a reliable source that it was in Kisvei Ari). RMS was also a close friend of Reb Yonasan David, son in law of RYH. Indeed, RYD was maspid RMS last week in Beis Medrash Pachad Yitzchok, an uncommon occurrence in PY. An Israeli friend told me "The entire Rechov Hakablan was packed". "Their Torahs aee wildly different"
True. As RYH used to say "Mir zenen nisht kein sedoim-bet oifen kup". RYH's talmidim come in all stripes and colors and often differ wildly in their approaches to Halacha, Hashkafa and Machshava. Some say this was his greatest attribute; being maamid talmidim in a way that allowed their max kishron to be extracted and not forcing them to conform to one single derech. (See Rav Gifters Hesped on RYH). No response to this comment from above? "RYH certainly did "have a Rebbi" in Toras Chabad in both the Rayat"z and Rama"sh, whom he learned with bechavrusa. It is fair to say, that RYH, having been a study partner of the last two Lubavitcher Rebbe's was enough of an authority in Toras Chaba"d to give over to his Talmidim and for them to have a derech in it as well." I think that's kind of ridiculous to say. RYH,RMS,RYH,RYD, To whom are these alphabet people referred to may I know before I placed them into my soup. "I think that's kind of ridiculous to say." By rearrenging the alphabets like musical chairs, he still won't know. you tell me. Someone who spent time, say once or twice a week, for a few years, or people who devoted their whole lives to it and were mekabel from generation after generation? Reb Moshe did not consider himself a talmid of RYH, as per his family. I don't understand the fuss about RYK. 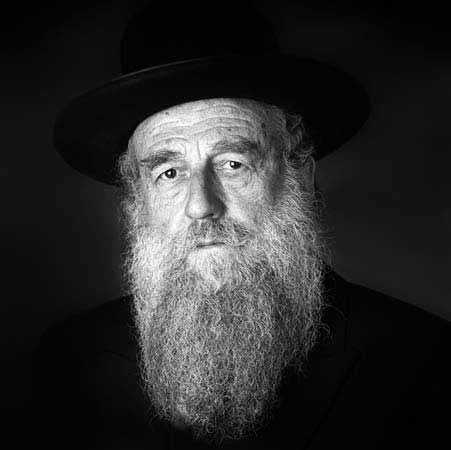 Ask better, how come Reb Moshe never went to the Rebbe, in the years he was in USA while his daughter was sick? רבותי מכובדי. רציתי רק להודיע לכם , שכל מילה בספרי חב״ד - הוא שקר גמור. אני כותב זה כחסיד ברסלב עם וותק של 45 שנה. עיין בספר ״חיי מוהר״ן, שכתוב שם שהביאו לפני רבי נחמן, כשהיה בדרכו לארץ ישראל מאמר של הרבי הזקן. רבי נחמן אמר שזה טעות. אם מותר לילהוסיף על דברי קדשו, אומר: ועד איך! צר לי , אבל באמת עד לעצמו. There is אמת and there is שקר. I have tried to learn תורה - all my life (I'm 68) . I have my opinions of what is אמת, and what is not. I am willing to discuss without another person. We can agree, or qe can disagree. This business of רבי - is always right, is for small children. Come on - grow up. Always remember that only the Pope - is infallibe. יוסף ואחיו, שאול ודוד - הכל ענין של קנאה. צריכים להתגבר עם כל כוחת הנפש להתעלות מזוהמת הקנאה. כל כת - ילך וינסה להעצם בדרכו. כל יחיד השייך לכת - ינסה לתרום לכת, לגדול ברוח, ולהיות בן אדם טוב ונחמד. זה כל הסיפור. ושלום אמתי על ישראל, אמן. כל טוב. Shalom. Let us all - try to grow uo. Talk like "MY REBBE IS ALWAYS RIGHT" - is childish. If we discuss a certain פסוק or מאמר חז״ל and differt intrpretations, what my Rebbe said, what your Rebbe said - it is very, very good. Throwing mud at each other - is bad. It shows that there is something wring in the נפש. HASHEM-please heal us. הנני להודיע לך, שכל מילה בכל ספר של מפלגה, הוא שקר גמור. כולל כל החסידיות, וגם שבחי הר"ן, וגם כאשר טפטף טינופת המפלגתיות אצל אנשי ליטא, אשר מעולם התנזרו משקרים גאלו. כל סיפור, כל מה שאצר זה על זה, כל מה שהיה ׳ידוע׳, הכל שקר גמור. וואס האסטו מורא צו זאגען זיין נאמען? ער לאזט דען נישט? "ואני אומר את זה בתור אחד משומעי לקחו של מו"ר הגה"ק מוו****** שליט"א"
That means that each and every one us is a בן יחיד by the צדיק. If someone says תורה and that תורה - brings Jews to עבירות - that is absolutely horrible. Such things - happened. שלא נדע. But, if someone says תורה, even thou the חידוש is שקר גמור, if the תורה - brings to חיזוק בקיום המצוות ולימוד התורב הקדושה, it is very, very wonderfull. I can turn toa friend, and say: What רבי פלוני just -is 100% pure nonsense". Bur that is just ביקורת. If the words helped a Jew to become better, that is just - GREAT. = רבי שמעון בן יוחאי =765. By tieing ourselves to the צדיק (either to משה רבינו like the מתנגדים or the רבי של חסידים) - we experince spiritual תחית המתים andwe cone close to עבודת השם יתברך,אמן. Beslov - is working with the indivedual, to purify his נפש from זוהמא. It can only be done - by absolute אמת. Lubavitch - is working (today at least עם ההיינטיגער רבי) ס to cange the world. Since it is an עלמא דשיקרא - the עבודה can only be done, with שקר. ידוע החחילוק בין אמת-שקר, מצד אחד וטוב-רע, מצד שני. אצלי, ברסלב - זה אמת; חב״ד - זה שקר. אבל שניהם מאוד, מאוד טובים. הכי טוב - שיש. בתפילה יש בקשה על התגברות הטוב על הרע. אבל אין בקשה על אמת- שקר. כל אחד - צריך להבין לפי נשמתו. The ספר תניא קדישא - is a system. The ספר ליקוטי מוהר״ן - is not a system. The ליקוטי מוהר״ן - is to cange theindividual. The individual - does not need a system. The תניא קדישא - is to change the world ( the אלטר רבי was preparing for the 7th generation). The world - needs a system. Since the world - is כולו שקר, the ספר to change the world - is כולו שקר. The גר״א - was flabergasted by the total falsehoods in the Tanya. If he would have understoob what the רב was up to - היה שותק. The גר״א ש - did not see sevn generation aftwr him. The קדושת הגשם - is ONLY in ארץ ישראל (הרב קוק). To talk about קדושת הגשם in the whole wide world - is an absolute and total LIE. But m, it is a necessary lie to change the world and defeat the סטרא אחרא. By sin, I mean עבודה זרה, גילו עריות, שפיכת דמים. It is wrong to fight against R. & C.. They - are not selling ע״ז, ג״ע, ש״ד. As far as Xianity is cocerned. Those who admit that J. - is not G., no problem. The RCC, if שיתוף ו is מותר for a גוי, then- alo no problem. We go in the way of אברהם אבינו עליו השלום, fighting only ע״ז ג״ע ש״ד. So, חזק חזק חזק. As far as the prolems caused by Reform גטים it's a bunch of nonsence. Hundreds of רבנים have to sign that their קידושין - is בטל ומבוטל. ושלןם על ישראל. Don't be like the elephant pulled by your trunk by a mouse. Use your strenth. Stop bring a למך׳ל. So thats why he had to close his "chasidush" yeshiva. 546 is 26 times 21. This is the name of HASHEM, the יקוק - times שם אקוק. Thi means: "I will be(אקיק) GOD (יקוק). Now we write before about the number553 (remember?) so רבי מנחם מענדל with the 12 letters = 554. Or do it this way - זה רבי מנחם מענדל =554. status quo talk about yourself bozo. IS/IS: "Now we write before about the number553 (remember?)" A graphing calculator is a learning tool designed to help students remember and visualize and ... determine which TI graphing calculator is right for you. you should see what I didn't allow! He wants to create an impression that any hisnagdus to Chabad is on Schneider's level. This is a devious tactic,honed by generations of party demagoguery. a bit sharf I would say. הירשל = עם הכולל 546. 546 is s perfect number. ובא לציון גואל - עכשיו, עכשיו עכשיו, אמן ואמן ואמן. In other words, the story of the בעל שם טוב with הירשל ציג- is really talking about תקום תרחם, and - is a living תיקון חצות. I wish all of us - כל טוב. זכות הצדיקים - יגו עלינו תמיד, אמן ואמן ואמן. A rebbe says: I want to go"
In yiddish: איך וויל גיין. איך = 31. The numerical value of the name of HASHEM - אל is 31. This is what the thins when he says: איך. וויל = 52. The numerical value of the name of HASHEM - יקוק when it is " filled out " with the letter ה׳, as follows: יוד קק וו קק - is 52. גיין =73. The numerical value of the name of HASHEM when it is "filled out" with letter י׳ , as follows: יוד קי ויו קי, together with 1 for the כולל = 73. When the Ropshitzer was very old, he stopped talking. His son, רבי אליעזר asked him why he had stopped talking. The Ropshitzer replied that all his life - he had spoken in in יחודים. In his old age - it was hard for him to think the Holy Names. Rherefore, he was silent. I know some people - do not favor numbers, but don't blame that little old בעל גימטריא סme. Blame Pythagores, the אר״ י הקדוש and the בעש״ט השדוש. When the belzer rebbe spoke with Prime Minister - he spoke in יחדים. He always does. If not then it would be חס ושלום that בעלזא - האט געשטארבין. שלא נדע . הרחמן יצילנו מרעיון נורא כזה. ותחזינה ענינו בשובך לצון ברחצים רבים, אמן ואמן ואמן. In לקוטי שיחות - iit always says "במילא. The correct way - is ממילא. Why במילא??? It seems there a tradition from the בעש״ט - To do this. Maybe the כוונה is ב=2, and מילא = 82. 83 divded by2 = 41. 41 is the numerical vlalue of אם, mother. So, במילא - iis saying that there are 2 mothers - רחל ולאה. Listn guys its anumbers game. If you donot know this - you are standing outside of the baall park. What do we mean when we say: "עוד נחמן חי״; or " עוד מנחם חי??? We know they stopped breathing. They were buryed. There as differance between הלכה death and קבלה death. עוד נחמןחי״ and "עוד מנחם חי. We say " יחי אדונינו״ etcetera, because at any moment the soul of the צדיק - can decide to passoverinto the mext wold by crossing the zמחסום. Rebbe Nachman said "איך וילל בלייבין צוושין אייך״. אמן ואמןואמן So יעקב אבינו and רבי יהודה הנשיא and ננמ״ ח and His Majesty - the LR , are still with us . Some people are not too happy about it. Too bad. We know that theLR - רבי מנחם מעדל =546==יצחק יעקב יוסף. יצחק יוסף is his שווער. The LR himself - is בחינת יעקב. יעקב אבינו - לאמת. There can be no כפירה - אמונה cannot "breath". There is no הבל without קין", no אברהם without נמרוד, no יצחק without ישמעאל, no יעקב without עשו, no יוסף without שמעון ולוי, no משה without דתן ואבירם, no דוד without שאול, no עם ישראל without גוים, no Judaism without Xianity and Bedlam, no חסידים without מתנגדים, no Breslov, Lubavitch, Belz without dasterdly Bashers, no Israelis without Palistineions. Therefore, לחיים and לחיים and לחיים. Eat children - eat. שבת שלום ומבורך. The point is - the soul is in the pipe (it is not a pipe dream). The body - has not decompsed at all. So, at any moment the siul can re-enter the body. This is not תחית המתים. כי על פי הקבלה - הצדיק היה כל הזמן חי. יוסף חי, נחמן חי, מנחם חי, הרב כהנאחע. Stay tuned for futher developments. Before he got on the wagon to travel to אומן to die there His Holiness, the BR - stood at the door of his בית מדרש, he put his hand on the מזוזה and said: אויב איהר וועט זיך האלטין צוזאמין- וועל איך צוריקקומין צו אייך. So either was that while still un the צינור, he would come join the תפילות in the breslov בית מדרש (his770) or he was that eventually when his soul re-enters his body - he will make his way back to that building in Breslov, the Ukraine (I think the original might still be standing, it qs burnt in RN time, but of it with the door and מזוזה ש was still חי וקיים) or he meant he would come to the קליוז the מרכז עולמי דחסידי ברסלב in ריוב סלנט 36,ירושלים עיר הקדוש, בית המדרש תורה ותפילה, בית הכנסת אור הנעלם. נחיה ונראה, אמן ואמן ואמן. The date that RN said that - was ה׳ אייר תקע. At that momemt he was מכריז על הקמת מדינת הטויטער חסידים. It took 138 years )כמנין ״מנחם for the State of Israel to be establiloshed. וזה תלוי בזה והא בלא הא - לא מדעחת. "רוב האדם הוא איש בעל מעלות נשגבות, ואם יש שם חסרונות ג"כ, נו נו"
"אמנם שמונים אחוז הם דברים יסודיים כשרוניים ומעניינים. " yidishkiet, torah was never better then today,the Hungarian yeshivas needed some fixing, the level of havona was bad, I knew a lot of old people that learned day and night but had little comprehension, and reb itche know it too. So we get only the shell, and you getting the complete nut. Schneider as much as I'll miss you here, try to dump your tweeks in the "douch back" designed to collect your kind of drivel. להבת "Have you any source to your story on heichal habracha?" Ok, I don't know how I'm connected to what you say, but I just got the idea to search and I found the source of להבת. "I found the source of להבת"